It seems like no matter where you go in the Star Wars galaxy--anywhere--there's just a bunch of pesky party poopers who seem to get in the way. Yes, we're talking about Stormtroopers. And it doesn't matter if you're holed up in a cantina at Mos Eisley or if you're working as a scrapper on Jakku. Somehow, someway, Stormtroopers are gonna get up in your business and try to ruin your day! So, if you can't beat 'em, you might as well just join 'em! 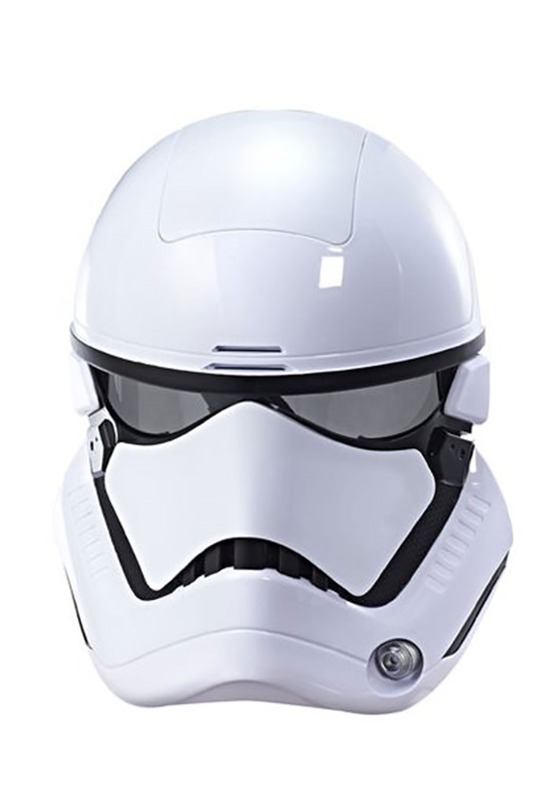 And whether your kid has his sights set on working under the tutelage of Lord Darth Vader, or they prefer to mount an insurrection from the outer rim with the First Order, the most important part of becoming a Stormtrooper is getting the look just right. Starting, of course, with the helmet! This Star Wars: The Last Jedi Stormtrooper Electronic Mask will let your kid complete your Stormtrooper costume with signature style. It captures the updated style of Stormtroopers from The Last Jedi, and it's enhanced with some sweet features. Voice amplification? Yes, please! And don't worry, if you'd rather your kiddo wasn't battling alongside Kylo Ren, they'll always be able to defect and join the Resistance. It worked out great for Finn!